How to start your makeup application? 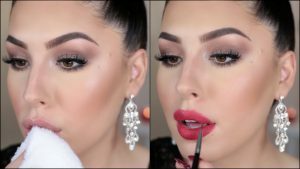 Foundation first or eye makeup? As you are checking the You Tube videos you will see so many different makeup application techniques and definitely you will be confused. We are here to help you sorting out this confusion. 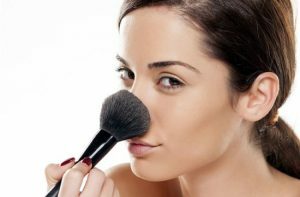 Make sure your face is clean, the makeup will look much better on a clean skin than to add some makeup on to the existing makeup. Use a toner, the toner cleans up your skin perfectly, refreshing it and closing the pores, basically preparing your skin for the makeup application. Moisturise, especially if you have a dry skin! Depending on a foundation type apply primer. The primer will prepare your skin for a foundation and will make your makeup lasting longer. Apply foundation, all over the face, eyelids, under the eyes, blend it to the neck area also. 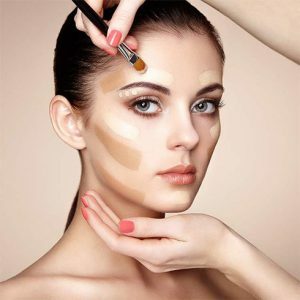 When is the foundation perfect? When you can’t see it because none wants to see the foundation just the flawless skin, forget about the caked up, mask effect foundation! That is out of trend for a long time. 7. Correct the skin imperfections. 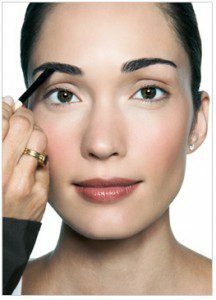 Most of the time we are mixing up the correctors with concealers. The correctors are in colours (yellow, peach, green and orange) and are useful in correcting the dislocations on our face. 8.Then conceal it! 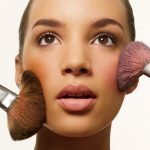 Because of the concealers your skin will be green or orange depends what colours are you applying you have to conceal it. That means the concealers are skin colours. 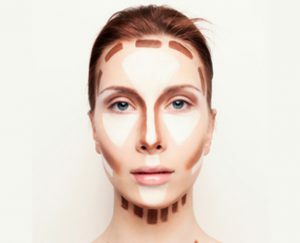 9.Contour and highlight and of course blend it! Now you have a question why in this order? There is a logical explanation for this. 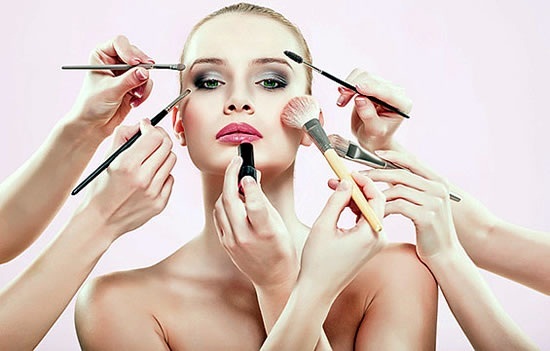 When you start with a foundation you do 60% of the job and you will have a flawless canvas to work on. All the eyeshadow colours will show much better on the already corrected skin. 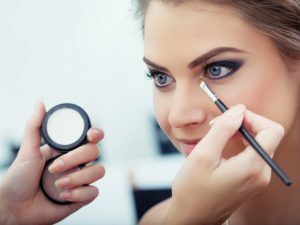 Even if you do a smokey look or working with dark colours you can easily avoid the fall outs by applying translucent powder under the eye area before starting with eye makeup. Stay with us tomorrow as we will talk about dos and donuts in your makeup routine ! Previous PostHighlighterNext PostThe Lipstick Make Up Institute on set of Tv Show!